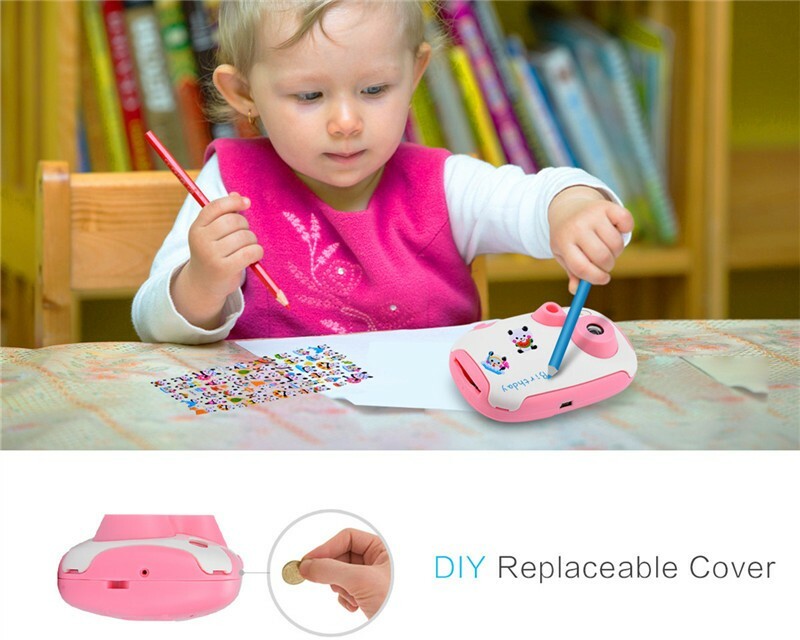 Mini Cute Pink Kids DIY Camera for Girls-AMKOV Official Website - Kids Camera, Digital Zoom Camera,Optical Zoom Camera etc. Nowadays more and more people using cellphones and they take photos and record videos frequently. While kids sometimes imitate parents and may want to do things as their parents do in their young ages. They may want to take photos and videos as well. 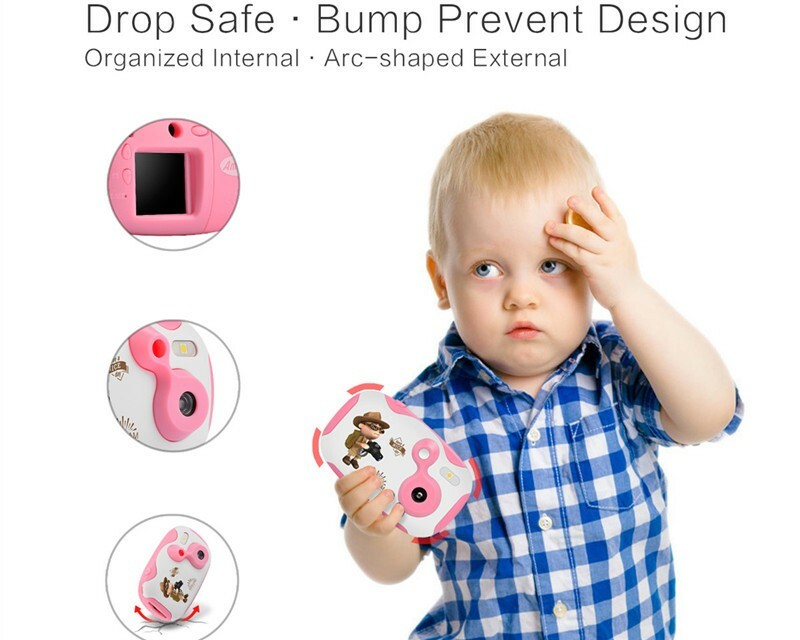 It is not suitable to give them a cellphone in their young ages. 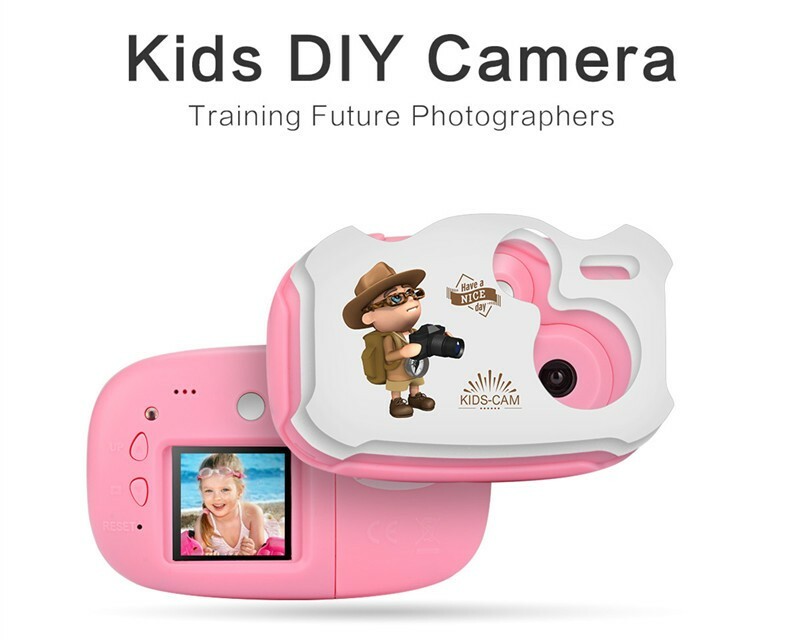 This is why we make this little camera for kids from 3 to 6 years old. We made two colors for the mini camera, blue and pink. 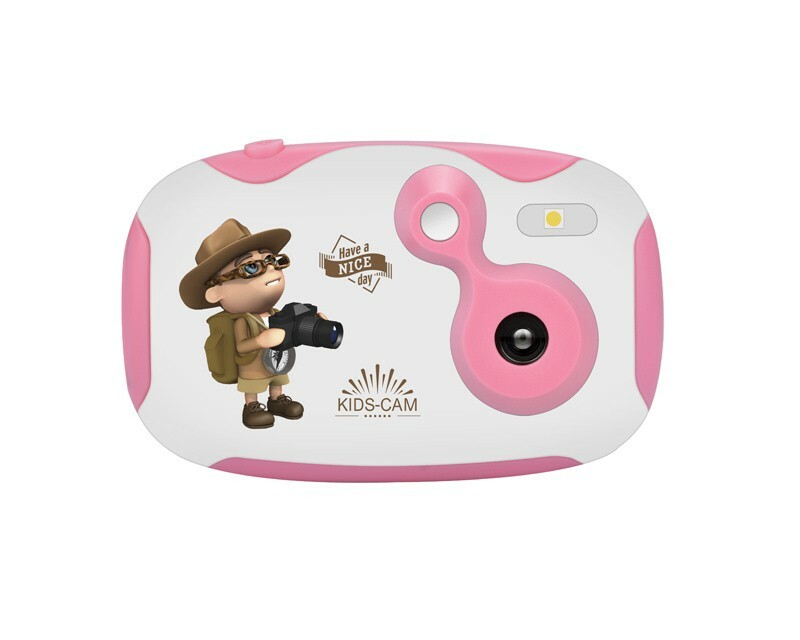 This mini cute pink camera is made specially for little girls. It is with rugged inside structure and rounded shape, which is very durable. 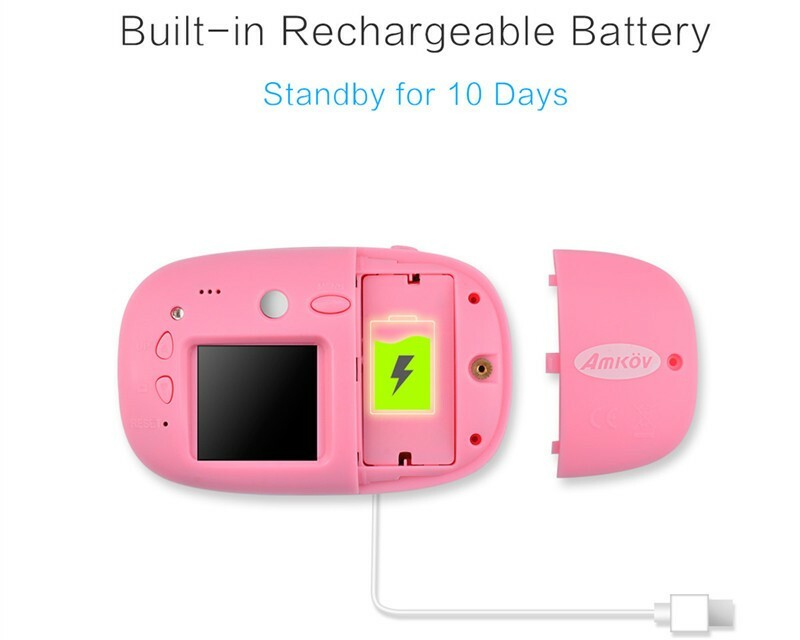 And the tiny camera size and keys are easily for little girls to hold and operate. 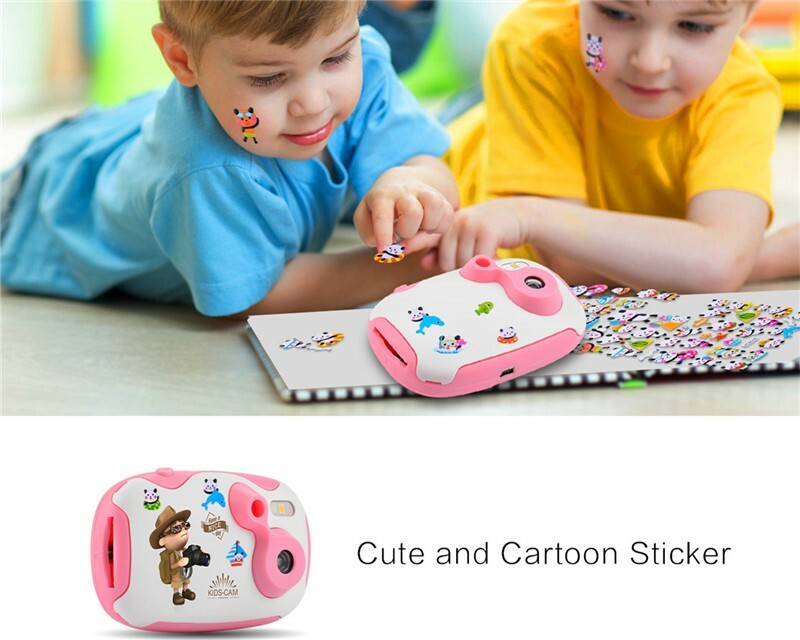 Considering it is a camera instead of game device, we do do not add any game in it so that kids won't be attracted by games, but just use it to shoot photos and videos to record their happiness, moments and discoveries etc. In this video, you will find function of different keys and how to change cover and what is the stickers for. 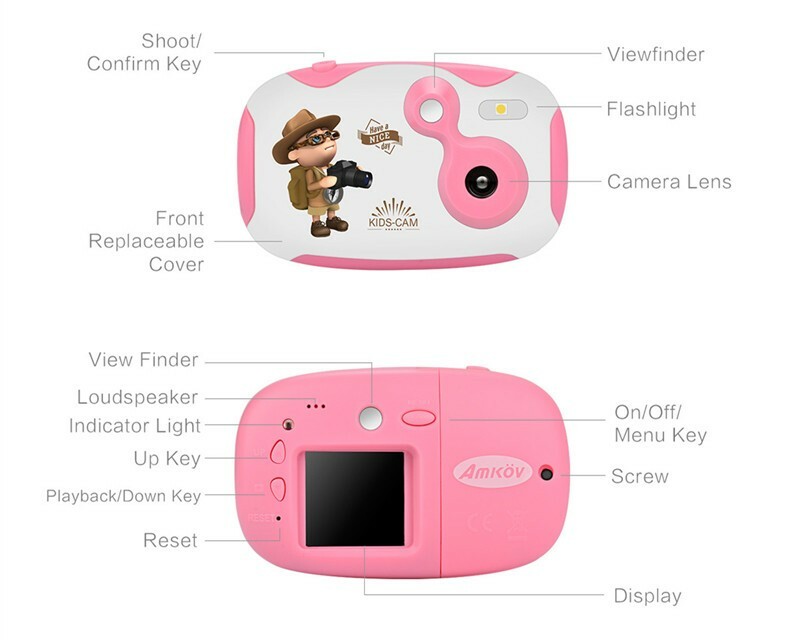 If you want to know more instructions or have advices to this mini cute camera for girls, just leave your comment below or contact us.